Infini by Lutronic TM is a new technology that represents the culmination of many years of research combining both radio frequency and micro needling technology to treat the skin. Skin needling/Micro needling and radio frequency are both well-established treatments that are normally performed individually to stimulate new collagen to improve the skin. Therefore the effects of Infini are two-fold; collagen production is induced both by the mechanical effects of micro-needling, and the radio frequency energy delivered through the tips of the needles. The treatment has been clinically proven to increase collagen production in the skin as part of the natural healing process that follows. How does Infini MFR work? Infini uses gold coated micro-needles to deliver controlled thermal energy to specific layers of the dermis. This results in precise fractionated coagulation zones triggering the body’s natural healing response, stimulating collagen production without damaging the upper epidermal layer of the skin. Protecting the upper layers of the skin means less downtime and a quicker visible results while the needles micro ablation of the skin’s upper layers illuminates the complexion and improves its texture and tone. Complete control over treatment depth and energy levels enables a multi-layered targeted approach for truly customized treatments, regardless of patient’s skin type. Contact us on (03) 9521 5533 to arrange an appointment with one of our Dermal Clinicians to discuss how Infini can work for you. Results may vary from patient to patient. This treatment can be used to treat the face, neck, and décolletage as well as any other areas of the body that may suffer from the conditions mentioned above. Is the Infini treatment painful? Infini’s ultra-fine gold tipped micro needles and patented ComfortFlow ™ technology minimizes discomfort, however, each individual’s tolerance for pain varies. A topical anaesthetic is applied prior to the treatment to minimise discomfort. What will my skin look like after the treatment? Immediately after your treatment you will experience mild redness/heat and swelling for up to 24 hours. You may also experience some minor itching and flaking for 3-4 days post treatment. A complimentary Healite LED Light Therapy treatment is provided after the Infini – which help to calm the skin, reduce the redness, speeds the healing process and maximises cell communication already activated to induce collagen stimulation. How long before I start to see results? 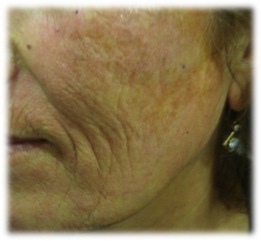 After your first treatment you will begin to see the results at the 8 week mark. 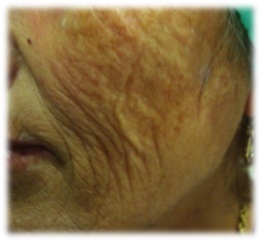 A positive effect can be seen immediately post treatment due to the lifting and tightening from the temporary collagen shrinkage lasting approximately 1 week. The temporary collagen shrinkage is then replaced by collagen tightening associated with the reparative and remodelling phases of wound healing. From here you will experience continued improvement to the treated area for up to 3-6 months post treatment. Typically three or four treatments are recommended. INFINI treatments are typically spaced approximately 4 weeks apart. Your Dermal Clinician will discuss your treatment goals and personal situation to determine the number of treatments you will need. Many people see results after just one treatment, but having a course of treatments will yield the best possible outcome. How do I maximise results? To maximise results the client must adhere to post-treatment care recommendations for best results. Depending on the individual, other treatments may be recommended for ideal results such as anti-wrinkle injections and dermal fillers. Furthermore, the health of the skin may be enhanced with skin treatments or a cosmeceutical homecare routine, which can be prescribed by our Dermal Clinicians.